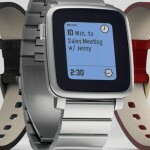 The third generation smartwatch from Pebble is the company's first foray into colored display territory as the previous models use a monochrome (black and white) design. This time around Pebble opted to release different versions of the Time; one being simply called the Pebble Time, one being called the Pebble Time Steel and the other Pebble Time Round. 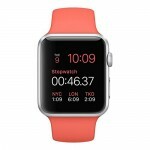 Its multiple watch face selection, preference on notifications and ever-growing app store make it a very capable gadget. Although functionality has not changed with this iteration, design and style certainly have. However, it has received a significant update to its software interface, now dubbed Timeline. It is one of the most accessible devices to average consumers, and would be a great fit for anyone even those who don't consider themselves tech-savvy. The Pebble Time Steel is definitely an elegant, luxury device and the price reflects that but so does the general design and stainless steel makeup.